In a previous article we looked at 5 Pinterest marketing tips to get more traffic to your website. Pinterest is a website where you can upload and organize images (pins) into grouped collections known as pinboards. Now, we will continue on that theme by showcasing more ways for you to enhance your brand and reputation with effective Pinterest marketing methods. Pinterest management decide to ban affiliate links, redirects and trackers on pins. This was done to keep the website's smooth and relatively fast operation, especially with respect to rich pins (see below). In addition, the new policy was implemented to counter spammy behavior, broken links and irrelevant feeds. Use your blog as an intermediate medium between Pinterest and your affiliate pages. Unless otherwise notified, it should be acceptable to place your blog's URL on a pin. This way, you shield affiliate links away from Pinterest, and can continue marketing as usual without significantly altering your approach. On the blog, write affiliate product reviews, solicit comments and testimonials and include a strong call to action (i.e. salesletter-style “Buy” button). ​This is really a best practice no matter where you are marketing. Use the marketing platform to drive traffic back to your website; there you can build your email list, and make a lot more money by following up and promoting multiple products and services to your list. A. Pinning popular images: Do a search within Pinterest in your chosen niche with popular words. Select the best twenty-five or so images that give your board sufficient breath and creates an aura of expertise for future visitors. Then track their pin count and check if they have active blogs. Choose 5-10 blog feeds to follow and subscribe to, and if possible connect personally with the authors. By pinning the best and most popular blog articles, your Pin board should be considered “popular” itself by Pinterest and allow you to be found by hundreds if not thousands of visitors every month. This idea of "social sharing" initially seems counter-intuitive to those who are newer to social media marketing; but when you share other people's content and not just your own, you can actually reach more people and attract more people to your own property online. B. Keeping your account active: You won't necessarily grow your followers ('Likes') and re-pins at a constant rate, but consistently building up images will enable you to take advantage of other people's success in an ethical way.In addition, tools like LinkWithin and Viralwoot, which will offer users analytics and promotes pins, are starting to appear. The more active you are, whether you are promoting your own images or other people's images, the more activity you will see on your own account. Sometimes being too focused on your specific niche can limit your growth possibilities on Pinterest. Granted, your business-specific channel should promote your brand and display your expertise. However, consider making boards with slightly unrelated topics can draw a more diversified audience that, in the long-term, may also find your main business appealing. For example, if you are a certified fitness professional, chances are that you have reasonable nutrition knowledge as well. Therefore, in addition to pins that highlight workouts for various types of goals, physiques, sports etc. you may want to consider creating aboard for pre-workout and post-workout meals. The synergy between physical fitness and nutrition is well-established, but there are many possibilities with other niche groupings (e.g. visual art and architecture; environment causes and ethical investing, etc.). Another opportunity is to create boards that are unrelated to your business entirely but reflect your own personal hobbies and interests. This is a good way to put some personality into your marketing and develop a more personal bond with your audience. 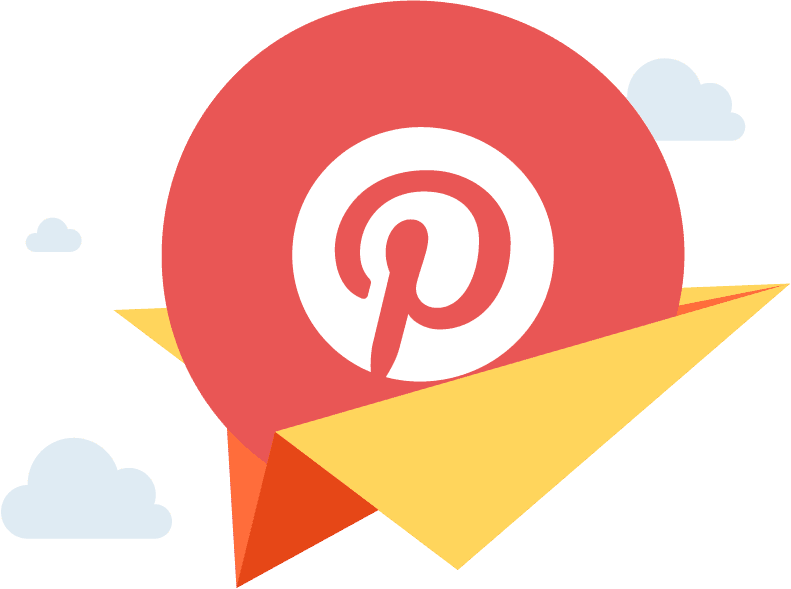 Pinterest's great strength lies with the immediate, positive impact it can make on large numbers of prospects and viewers in a relatively small amount of time. As a relatively new social media marketing medium, members continue to experiment with different approaches within visual marketing. The bottom line is that people love visual content. It's easy to create, gets a lot of attention, and can drive massive amounts of traffic to your website. Explore various possibilities to better serve your audience and find more Pinterest marketing tips here. See more social media marketing tips, tricks, and strategies here.